Here they are! This months selection of Dear Jane Blocks. I found some time to get them together. All warm colors this month for my color scheme. Lots of paper piecing and one block with applique. I cut out templates for the circles and melons and then used a needle and thread to gather the edges of the fabric around the template. A blast of “starch” held the gathered fabric in place … and sorry I did not take pictures to show you how to do that! This entry was posted in Dear Jane, Quilts and tagged applique, dear jane, kaffe fabric, kaffe fassett, modern, pattern, quilt on September 16, 2013 by pmegio. 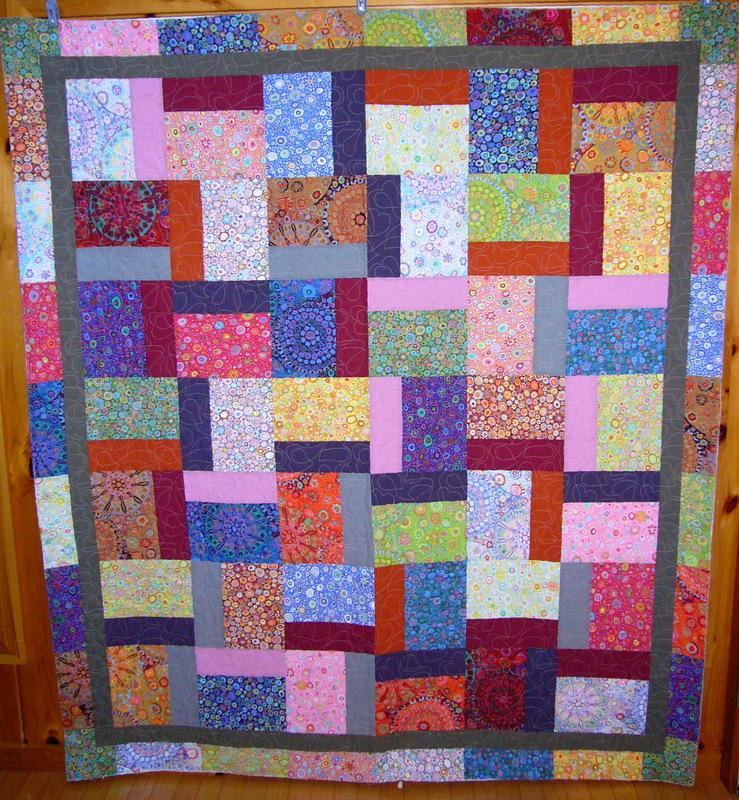 This is what I did with 40 10″ squares of Kaffe Fassett Millefiore and Paperweight fabrics. I did have to add a few fat quarters into the mix. Peggy Anne’s Quilting and Sewing Company is selling packages of 10″ squares and then all you need are the fat quarters or some extra yardage to make this quilt. I have put a pattern together with the directions which is available as a downloadable file in my little pattern store. The quilt is 64″ x 73″ which is a nice lap quilt or a perfect size for the charity quilts that the North Parish Quilt Guild puts together for the Hole in Wall Gang Camp! I’ll have to make one for them, and I also might put a couple of kits together for other guild members to put together. 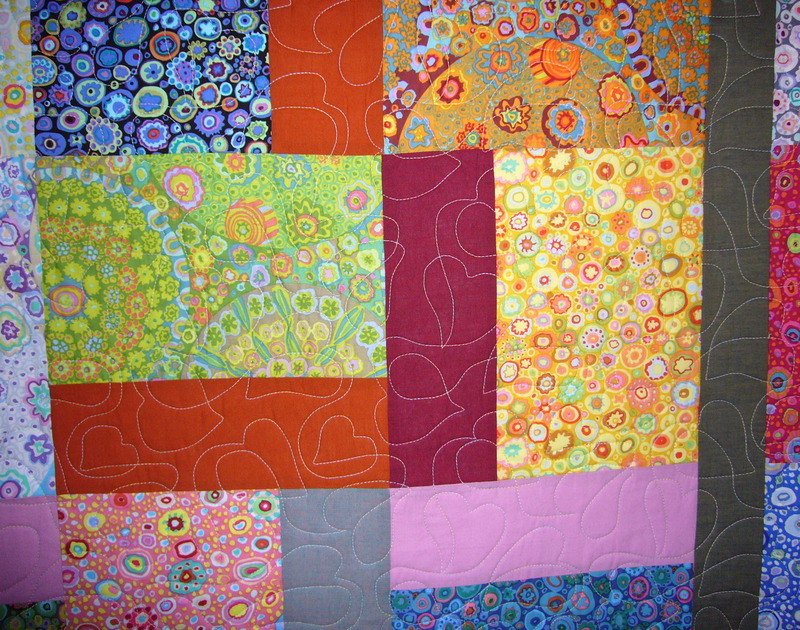 This entry was posted in Patterns, Quilts and tagged kaffe fabric, kaffe fassett, kaffe quilt, layer cake quilt on December 15, 2012 by pmegio.